[noora1.com] THE FINAL CHAPTER: Da'ee Ahmed Moait analyzes the Muslim Ummah, past present and future(islam). -- Please Select a Session -- 1. 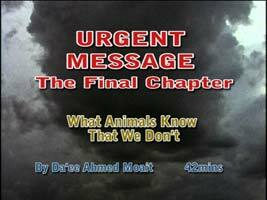 URGENT MESSAGE - The Final Chapter: What Animals Know That We Don't 2. The Knowledge and the Path to Destruction 3. Cartoon Controversy Part 1 - Action or Reaction? 4. 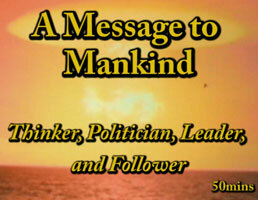 Cartoon Controversy Part 2 - A Message to Mankind 5. 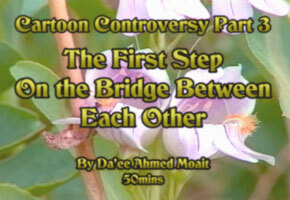 Cartoon Controversy Part 3 - The First Step On the Bridge Between Each Other 6. 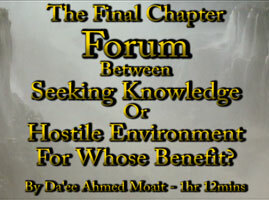 FORUM - Between Seeking Knowledge or Hostile Environment - For Whose Benefit? 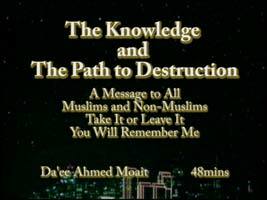 These are brand new and URGENT MESSAGES from Da'ee Ahmed Moait. Please give them some thought and let them shine truth into your life. An Urgent Message from Da'ee Ahmed Moait. What is it that Animals know that humans seem to have missed. Find out how mankind is lost without the guidance of Allah, the Creator. Session 3: Cartoon Controversy - Action or Reaction? Da'ee Ahmed Moait explores, explains, and critically breaks down the Denmark Caricature incident under the liberating light of Qur'an and Hadith. A must see for both Muslims and Non-Muslims alike. Da'ee Ahmed Moait uses the Denmark Cartoon issue to analyze the Muslim Ummah, past present and future, and gives us a complete solution to our modern crisis by bridging a constructive dialogue between east and west, Muslim and Non-Muslim for the benefit of Humanity. How do we break down the walls of misunderstanding and hate between each other? Can we, as mankind, continue on this destructive path of collision caused by our ignorance and narrow-mindedness, Muslim and Non-Muslim alike? Let's start on the path of understanding between one another and build the bridge between each other. Session 6: FORUM - Between Seeking Knowledge or Hostile Environment - For Whose Benefit? Today, with millions of Muslim websites all over the internet, the advent of 'Forums' have spread like wild fire. Come explore the slippery slope of forum frenzy and what their true benefit is.